Posted on July 31, 2016 | Comments Off on How long does it take? I have frequently posted paintings on here that are quick sketches, plein air or otherwise. These usually only take an hour or two. I have friends who can knock out four paintings a day, and darn good ones, too. But…sometimes it is good to spend some time studying a subject. These two paintings that I completed this month are examples of that philosophy. Ginko is one that I’ve been rolling around in my head for a couple of years. It is a full-size watercolor. I haven’t done a watercolor of this size for several years so it was good to try my hand in it again. (I painted watercolor for 25 years before switching to oils several years ago.) 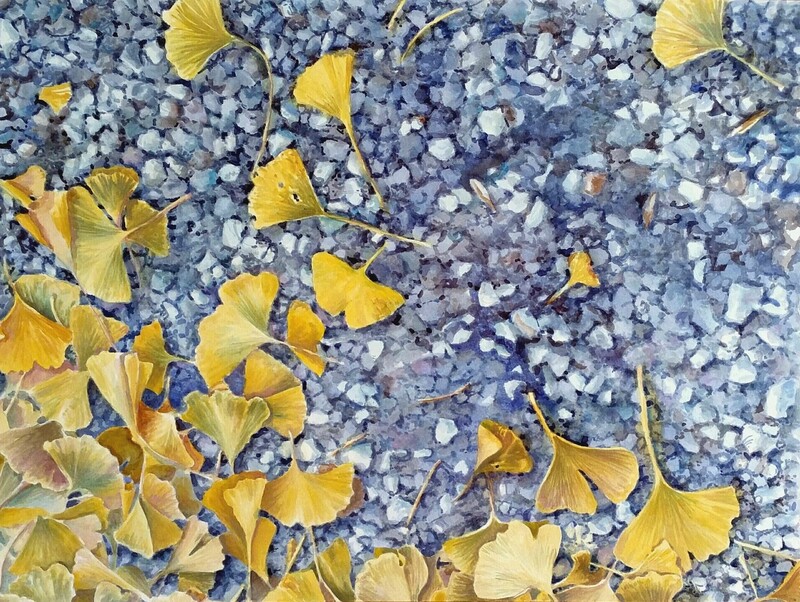 Ginko is a study of the ordinary. What is below your feet. I saw this one day as I was leaving the post office. The Postmaster later told me that many post offices in Indiana have ginko trees planted outside (males only). I think he said it was some kind of Girl Scout project but I’m not sure about that. I just loved the soothing shapes and colors. The painting itself was a lesson in patience. Why did I choose to paint all those rocks!?! 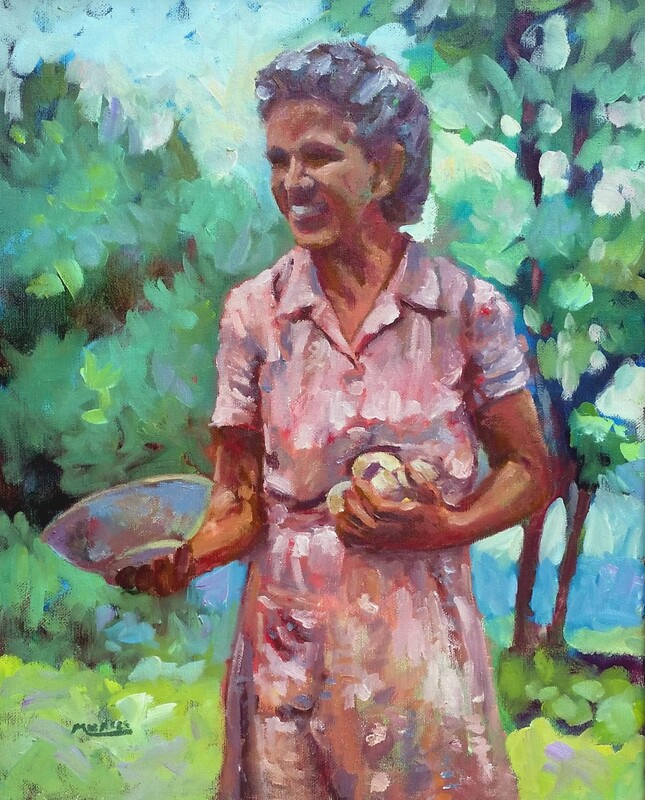 The second painting is an oil that I call Generosity. It is from an very old black and white photo of a family member. She was always so generous; you never left her house empty-handed. I actually worked on the prep for this for several months, doing countless studies in pencil, charcoal, etc. This painting may actually end up being a preliminary study itself as I was planning to do a much larger work. So, the lesson here is to enjoy the fast painting, dashing off a sketch or plein air piece. But sometimes you can be rewarded by taking your time and creating something really worthwhile. This entry was posted in oil painting, watercolor and tagged art, kit miracle, oil painting, painting instruction, watercolor. Bookmark the permalink.